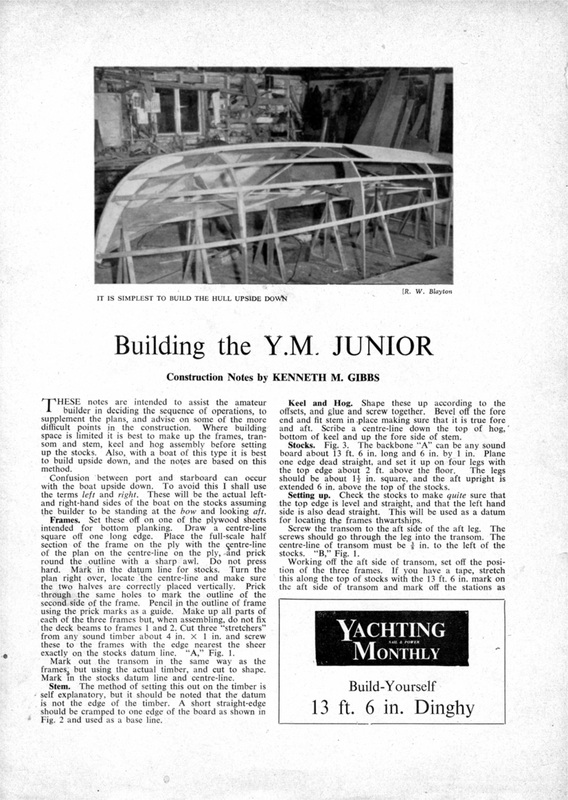 A large number of these sturdy half-decked dinghies have been built to these plans. Double chined, the hull can be planked with plywood or metal sheets. 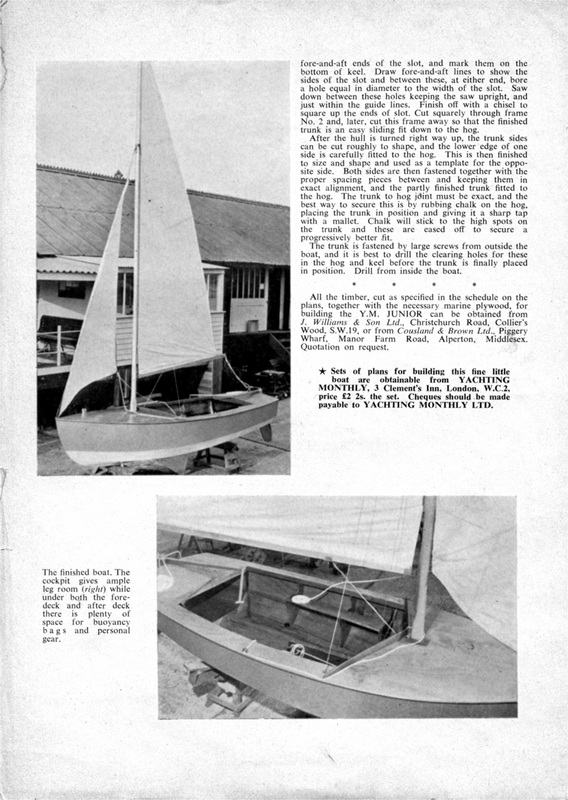 Freeboard and arrangement of deck and cockpit are designed to make a dry boat and one capable of being used as a camping cruiser with tent rigged over boom. 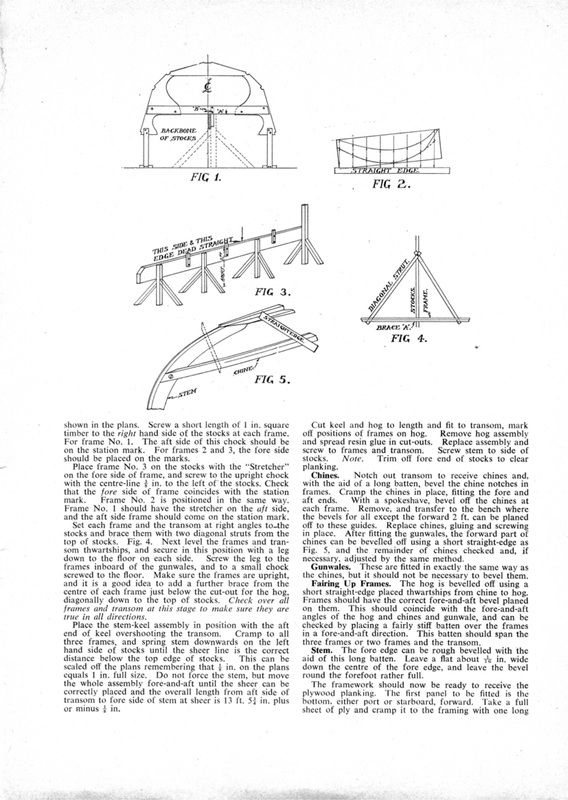 With the gunter sloop rig, spars will stow within the limits of the hull for convenience of portage or road transport. 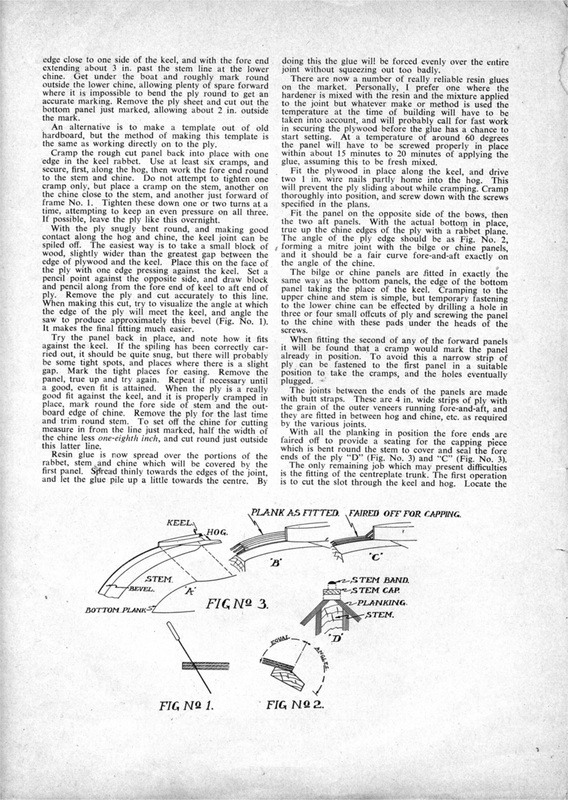 We are indebted to Matt for these 4 pages of building instructions from YM of yesteryear!